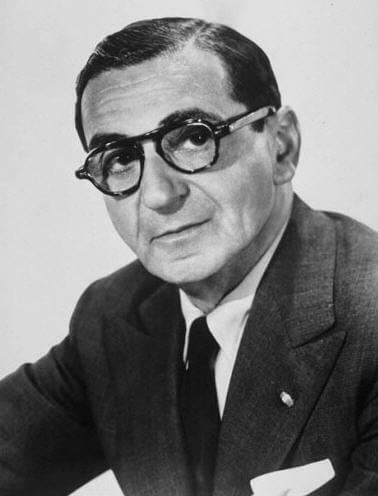 Irving Berlin (1888 - 1989) was an American composer and lyricist, many consider the best American songwriter of all times. He wrote over 1,500 songs, over 25 of which were hits, scores for 19 Broadway plays, 18 movies, and was nominated for 8 Academy Awards. Dozens of his tunes were hits before he turned thirty. Many of his songs became popular anthems and themes, sung by a broad range of popular singers, including:"White Christmas" "Easter Parade" and "No Business Like Show Business" (who could forget Ethel Merman?). All of this success must have contributed to his longevity; he lived to be 101 years old. Berlin's first major international hit, "Alexander's Ragtime Band" was published in 1911. We feature his iconic American patriotic song, God Bless America , first published in 1918, then rewritten as more of a "peace song" with the rise of Adolph Hitler in 1938, performed on Armistice Day by Kate Smith . Woody Guthrie wrote This Land Is Your Land , originally titled God Blessed America For Me , as a critical response to Berlin's song, which he thought was unrealistic and complacent. Berlin's lifetime of prolific songwriting helped capture the essence of what Americans believed, thought, and felt.